This is my first attempt at doing a 10 minute sketch on location. It’s pretty primitive, but it does capture the idea of the scene. I was trying to get the basic shapes, colors and tonalities. What caught my eye were the interesting shadows of the limbs cast on the lawn and the daffodils. I had two difficulties – keeping an eye on the time and seeing the iPod’s screen in the bright sunlight. Next time I think I’ll set an alarm on my watch so I won’t have to keep checking the time. I discovered something surprising. There’s a lot of detail in the blown up image done in Brushes Viewer. Look at the daffodils for instance. I found I could use this large image to experiment with various cropped versions of the scene. 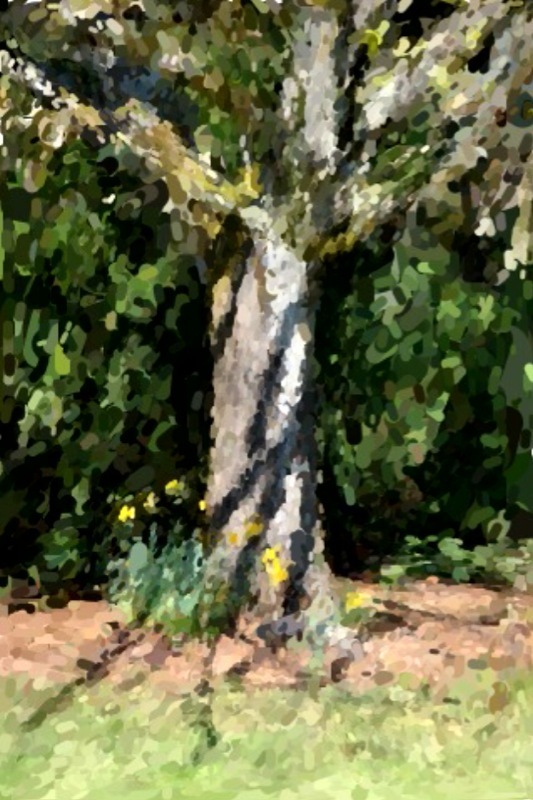 Here’s a version of the same tree done with Oil Canvas, another paint program for the iPhone/Touch. 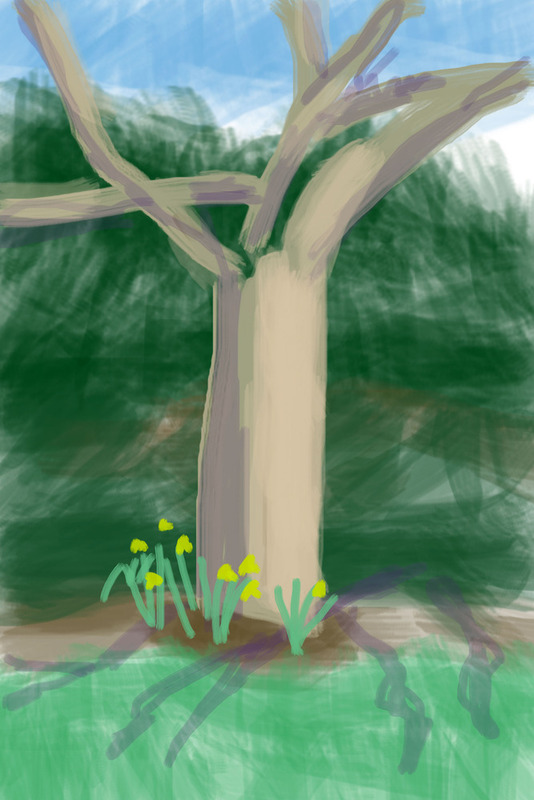 You start with a photo and use different sized brushes to ‘paint’ the image by drawing color from the photo.